Work injuries happen every day in Louisiana and in all different types of work environments. 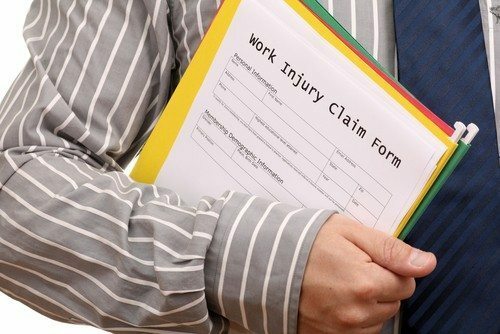 Here are some of the top causes of work related injuries, and what you can do if you or a loved one were hurt at work and are in need of workers’ compensation benefits. Slip and falls occur frequently in the workplace, especially in certain environments where floor surfaces are slick. Kitchen floors in a restaurant are often slick from spills or cleaning, and the linoleum in department stores can be slick after a fresh wax. Trip and falls are also common in workplaces where debris is often on the floor, such as offices where boxes are left out or even construction sites where tools and debris are in walkways. Individuals who are required to lift heavy objects at work have a much higher rate of injury. Back injuries are exceptionally common in these types of work environments and even correct lifting techniques or lifting belts don’t always prevent an injury from happening. Grocery stores, package delivery establishments and warehouses where heavy boxes are regularly lifted commonly see lifting injuries. Many employees are injured by hazardous materials every year. Working with certain chemicals can cause burns to the skin, injury to the eyes, or lung or sinus injuries when the chemicals or vapors are inhaled. While utilizing proper safety equipment according to OSHA regulations can help reduce the number of workplace injuries related to hazardous materials, these injuries still occur on a regular basis. In the construction industry, falling objects are a serious hazard. When objects like tools or debris fall from a roof or scaffolding and hit a worker in the head, critical injuries can occur. Wearing hard hats can help prevent excessive damage, but falling objects can also injure the neck, shoulders, and other parts of the body. If you or a loved one have been hurt at work, you may be eligible for workers’ compensation benefits. These benefits are designed to cover the costs of your medical care and the time you spend out of work as a result of your injury. Call the Wanko Law Firm, LLC now to schedule a consultation to discuss your injury and your legal options in detail at (985) 893-6530.